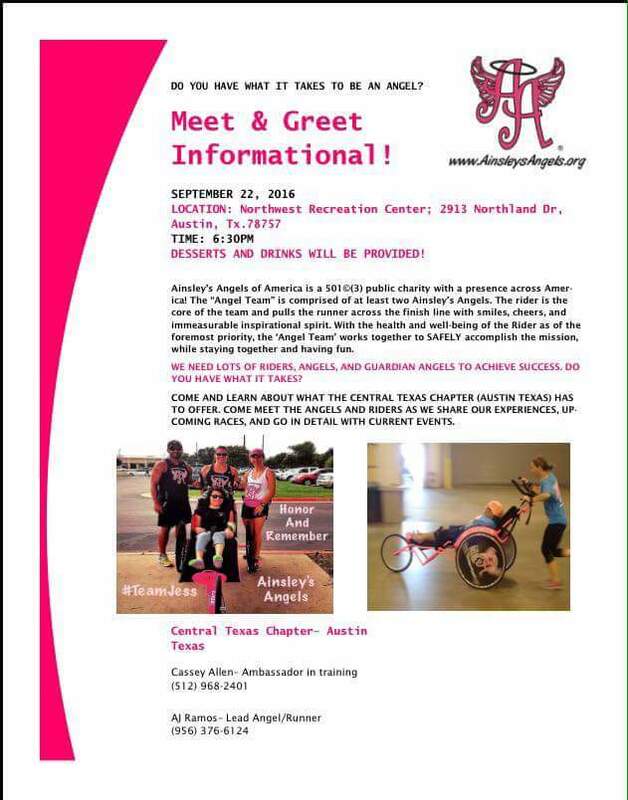 TMRW night, Sept 22, learn about Ainsley’s Angels in Austin, a non profit organization that pairs runners with those that have special needs so they can experience endurance events. Their mission is to spread the message of inclusion in all aspects of life. This is not only done through or racing events, but through community activites as well. Learn more tmrrw, at Northwest Recreation Center, 6:30 pm!